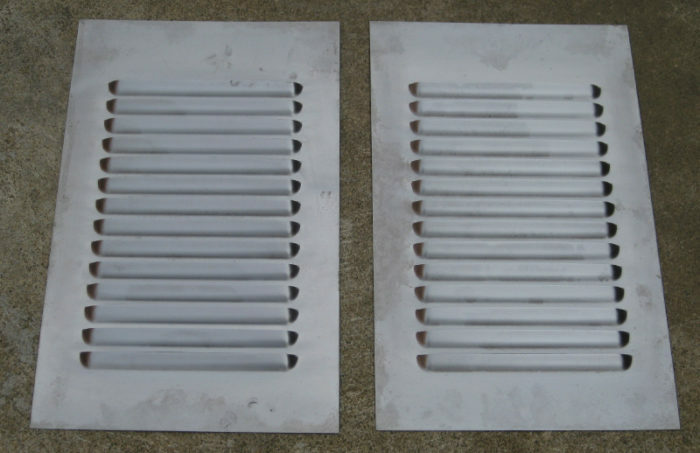 We manufacture and stock E-Type Jag Bonnet Louvers. 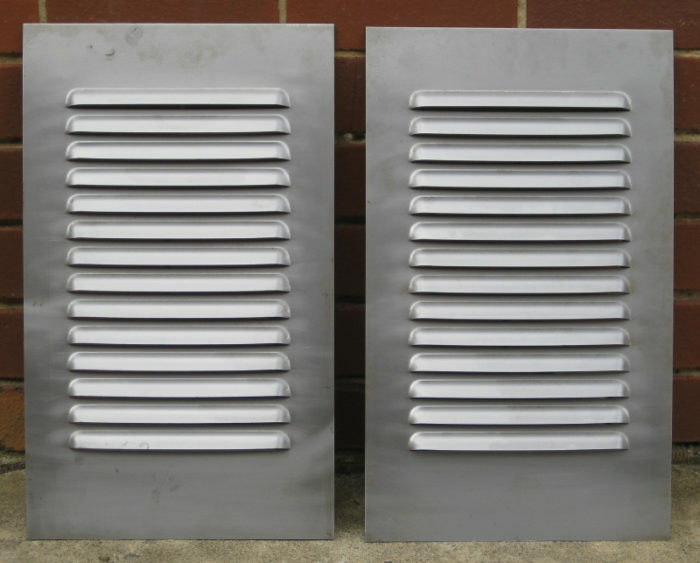 These louvers are designed to suit E- type Jag cars and can be used for restoration purposes or to help remove excess heat from the engine to increase performance and prevent breakdowns. The louver shape is made to suit identically to the existing E-Type Jaguar cars. 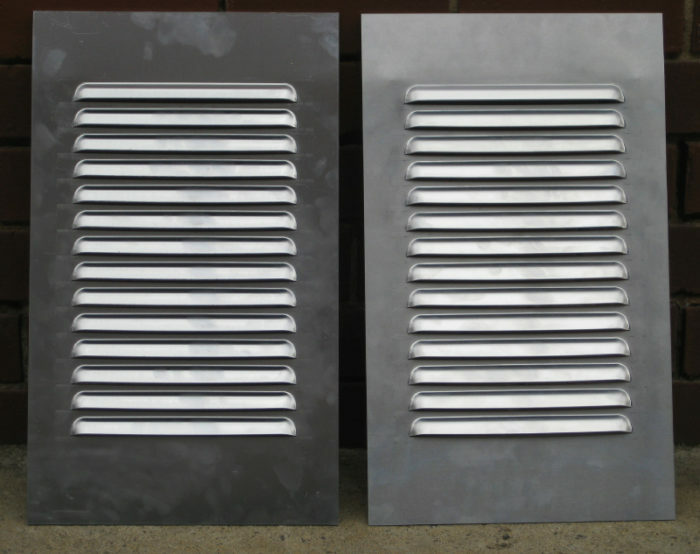 The picture below shows our "Aluminium" E-Type Jag Louvers. 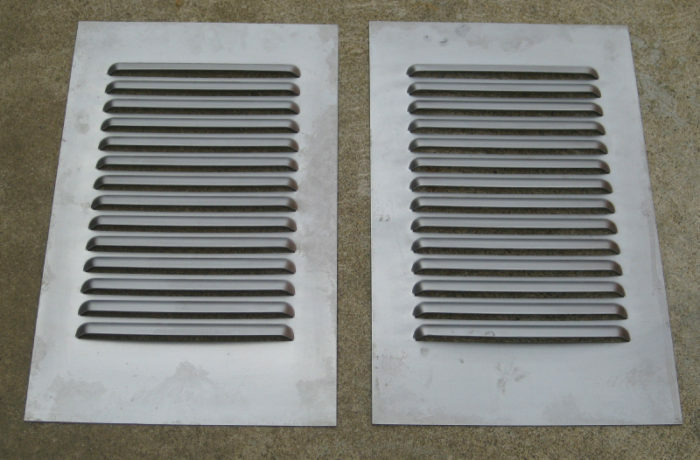 Louver Weight per pair = 1.3 kg approx. (Shipping dimensions and weights = 51cm x 31cm x 3cm approx. Wgt = 2.5kg approx).